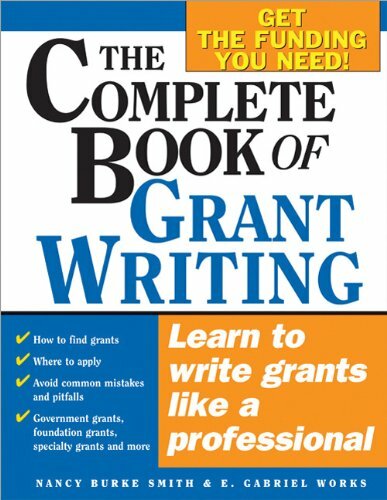 The Complete Book of Grant Writing is a must-have shelf reference for anyone seeking funding through grants–government grants, foundation grants, specialty grants and more. Professional grant writer Nancy Burke Smith and philanthropy consultant and grantmaker E. Gabriel Works unveil the secrets behind how to find and professionally apply for grants. –What makes a grant compelling to funders? The Complete Book of Grant Writing is the most in-depth, complete and up-to-date book on grant writing available.